I was a Generals fan as a little kid. Herschel Walker is still one of my favorites. So the Generals name always has a place in my heart. There was a World League of American Football team named The New York/New Jersey Knights, coached by Mouse Davis. To the best of my knowledge, The USFL team names are available for re-use. Like The Bandits, Gamblers etc..... Whether or not, The XFL turns the page and starts fresh or borrows from the past, it all remains to be seen. Knowing Vince McMahon, he likes to make everything his own creation. He's never been big on using some one else's ideas. He always comes up with his own gimmicks for the most part but he could be convinced on some of these. I just hope that McMahon doesn't override what the marketing groups come up with in each city. Having the right names is an essential part to proving to the doubters that the XFL is for real and that it's not gimmicky. I agree. The key with team names is the markets having team names that they can all be proud of. They need to appeal to everyone. Staying classy but not being boring or cliche. Be cutting edge, fresh and new but not cheesy or too quirky. After the players and coaches. Team names are the most important aspect. You could argue, that the league will live or die based on their team and market branding. If they name a team, The Seattle Caffeine or something. They are dead in the water. I don't care if Tim Tebow is playing for them and handing off to Marshawn Lynch. Tebow and Lynch would be a great combo, but I do agree with you that they cannot mess up these names. Nobody will want to buy something they'll be embarrassed to wear. They have to get these names right, and I trust that McMahon will leave it up to football people and get it done right. Houston Roughnecks or Drillers-Combine the name with helmets similar to those worn by the Oilers. New York Knights-I had originally supported the use of the New Jersey Generals name but I think the XFL wants the team to be NY based so the Knights makes the most sense to me. Tampa Bay Bandits-One of the best USFL names, bring it back. Washington Federals-Another USFL name that simply works, bring it back. St. Louis Stallions-The name that the expansion NFL team would have had. Not sure on Dallas since I doubt the NFL would allow the use of Texans and doubt Dallas would embrace that name despite its historic connections, I had a couple rules, 1 rule was names had to end in an 's' and where possible needed some historical basis. I feel that the XFL would be wise to use history to inform their choices. 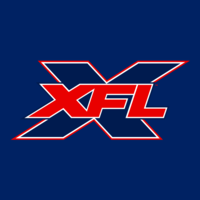 LA: 50% Xtreme, as it seems there is a little connection with the old league (as it is named the XFL), and we would have automatic history with the a former champ. New York: Hitmen. period. throwback to the original XFL, perfect color scheme, defensive players would really get around this mascot. Wash. DC: Generals, revive an old usfl logo (see A11FL), will have natural tie-ins with the past. locals can get around it. Tampa: Bandits 75%, Thunderbirds 20%, Sharks 5%. Would like to see Bandit Ball back. Had a solid following in the past, people would talk about it, get behind it. Thunderbirds, honestly just love the logo on the car. When i think of Florida greats, Burt Reynolds comes to mind. (LOL). Sharks, can go far in color schemes, marketing). side note: as another throwback to the past, players of the game on offense, defense or special teams, get rewarded with custom names on their jerseys (of their choice). Beats helmet stickers and is uniquely XFL!!!! Good post. It wouldn’t shock me if The XFL put a sponsor on their jerseys somewhere. Something small. In CFL/MLS fashion. With less commercials, they may look to monetize in unique ways. The Thunderbirds can be the car but it would probably lean towards the mythological bird that creates thunder, rain and lightning. Each market could be names and logos that are synonymous with those areas. The XFL’s marketing team is probably looking to brand the teams with names that embody the cities. Dallas is big D. It’s all about everything being big in Texas. This could be anything that is large like a mammoth, dinosaur or Dragon. The original XFL avoided animals completely. Houston is labeled hustle town and is known for its heart and is also known as Space City. Navigators? New York is known for being the city that never sleeps. Nicknamed the Empire State and known for its heroism. A nighthawk has double meaning. It has the military background but it translates to someone who is active at night. Seattle is known for the sea. So many potential directions with that. It’s also known for being innovative and filled with energy. Washington is all about patriotism, pride, history and glory. Tampa is known for it’s weather, outlaw history and is a big capital for aviation. Los Angeles is all about excess, stars and showtime. The city of angels. Extreme fits the region. Condors are cool creatures, as are sabercats. These two animals are possibilities for the team. Both animals are California staples. St. Louis is the gateway to the west. So gatekeepers, sentinels or guardians seems fitting. The name Stallions has a history with the region but Clydes/Clydesdales are more synonymous here.